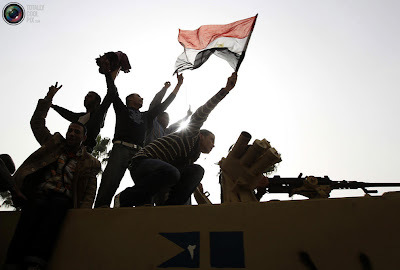 The scenes we have been witnessing this last week across Egypt are electrifying. Egyptian youth have decided to take destiny into their own hands, and have thus forced the older generations to follow suit. The youth are deciding the course of history in Egypt and by association in the Arab world. With courage and determination, they are chipping away at their Berlin Wall. The Arabs are finally coming out of a coma. They are facing the fears that have held them back for too long. Today, one million will march in Cairo. With them will be the dreams and aspirations of an entire Arab population yearning for freedom, dignity, and a better life. Today we are all Egyptians. My ten year old's memories of the Egyptian Revolution will probably not be as vivid as the ones I had of the Iranian Revolution of 1979, when I was a year younger than him. In my case, it hit home and affected my family directly. They paid a high price for "the ideals"! In 1979, my family was too involved in the events to explain them to me and I picked up the vibe alone. In contrast, today, we watch the events in a clinical way, for Egypt is on our screens, even our blackberrys and really only affected us because my son's school trip to the Nile had been cancelled a month ago on initiative of the Egyptian government! Today I explain to him that our Arab brothers are fed up of the authoritarian and eternal rule of a President that was depicted as a Pig, the worse caricature in the Mulsim world, by Jeffar Khaldi, way ahead of this revolution. I tell him that these revolutionaries are marching for democracy the way Americans marched for civil rights with Martin Luther King. They gather in huge numbers and scream for their rights. A new era has begun in North Africa. The ideology isn't religious or panArab. It is spontaneous and grassroot. "C'est la REVO!" said my ten year old, his imagination built on Liberty Leading the People by Delacroix. For indeed it is Liberty that the Egyptians are seeking. It is about time!!! vive la revolution! Times up old farts! Im worried about how this is going to play out. If Mubarak refuses to budge then we are talking about more violence - blood shed, a weak economy going weaker, shortage of cash food supplies in a word a disaster scenario. If he does step down a transitional government will be formed which will be eventually over run by the muslim brotherhood. They are the most popular group winning 30% of parlimentary seats in 2005 before Mubarak cracked down on them. With slogans like "Islam is the solution" they easily won the support of the masses - those who live below the poverty line, ie Egypt's populace. Egypt under Mubarak was not a good place to live for the majority of Egyptians but an Islamic run state is even more frightful. We opened our infant eyes to the "Naqba of 1948",and the avalanche of the secular military "Inqilabs" that started with Syria in 1949 and ended with the clownish coup of Qaddafi in 1969. We have known nothing but iron-fisted regimes.In a way we have the "Stockholm Syndrome",in that we are afraid to loose our captors that we have acquired a liking familiarity to! It is our children,who woke up with their Twitters and Facebook messages that are shaking the area from decades of slumber and hybernation. 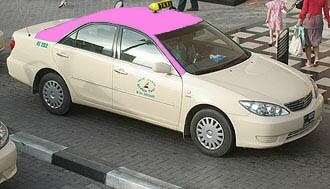 Ta mamam ma fait connaitre ton Pink Taxi.Je l'ai pris pour un voyage dans tes pages de lectures qui m'a beaucoup plus et impressioner.Le voyage etait lonque(q.q. 2 heures)avant que j'appercoit le drapeau suedois.Et la, tu me fais trop honneur.Je suis tres toucher pour ce que t'ecris, deja sur le peuples et sur moi meme.Oh, combien de fois je n'ai pas dit a tes parents de venir nous rendre visite en Suede.Peut-etre avec cette bonne publicite que tu nous as fait va leur donner envie. Tu as des dons d'un ''vrai'' ecrivain, dommage tu les exercer juste sur un blogg. Maintenant, dorenavant je sais ou trouver une bonne lecture.